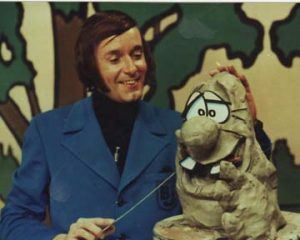 With their whimsical, artistic bent and a cast with names like Blob, Mother Plumtree, and Mertz The Martian Meanie, Jackson’s shows were must-see TV for Chicago-area kids in the 1960s and 1970s. Jackson, who won four Chicago Emmys and two Iris Awards for the Best Major Market Children’s Television In America, recently released a new documentary, Remembering . . . Cartoon Town And B.J. And Dirty Dragon. He says he doesn’t have a favorite character. “They all reflect a little of my own character,” he says. “I put a part of myself in all of them. Jackson promises that the December benefit will be “the last time I appear in anything that can be called a performance.” It’s from 10 to noon at the Lake Theatre in Oak Park; tickets are $60 and $120 (which includes front-row seating and private meeting with Jackson); call (312) 245-8200 or visit www.museum.tv. For more on Jackson’s memoir, documentary, or “Gigglesnort” DVDs, visit www.dirtydragon.com. CROSSING MEDIA LINES: What is the world coming to when journalists migrate to the Internet, and broadcasters write books? Bill Jackson spent five years writing his highly regarded 2008 memoir, The Only Kid On The Carnival: An Extraordinary Childhood, about growing up on the carnival scene and in small-town Missouri (it’s available at www.dirtydragon.com). Longtime radio personality Connie Szerszen recently released Top Rock Girly Jock: A Chicago Radio First, about her groundbreaking career as the nation’s first female announcer to have a prime-time, major-market AM radio show. It’s available at toprockgirlyjock.com and will be reviewed here next month. Bigger-than-life sports-talker Chet Coppock just let loose with Fat Guys Shouldn’t Be Dancin’ At Halftime: An Irreverent Romp Through Chicago Sports (The Good, The, Bad & The Ugly), a colorful riff on Chicago’s major pastimes. Coppock says that once he inked the deal with Triumph Books, “I was, to put it mildly, in the hurry-up offense,” writing 149,000 words in 98 days. For the latest on upcoming signings and to hear Coppock’s new podcast, visit www.chetcoppock.com. Coppock also blogs at www.chicagonow.com. And keep in mind that you can get a signed copy of these books if they’re ordered through the author’s Web site. ODDS ‘N’ SODS: Citadel Media will end syndication of Doug Banks and DeDe McGuire‘s show, “Afternoons With Doug And DeDe,” on December 31st as part of a larger cost-cutting move. The former WGCI-FM star, who’s heard afternoons from 2 to 6 on WVAZ-FM (102.7), should easily find a new syndicator . . . 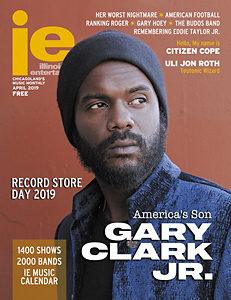 The Local Community Radio Act Of 2009 recently passed out of House Subcommittee — a key first step that would clear the way for more Low Power FM stations, and good news for groups such as the Chicago Independent Radio Project, which since 2007 has been working to launch new music- and arts-focused station in Chicago. Visit chicagoindieradio.org for the latest . . . One of the finest features at former Daily Herald sports writer Dave Miller‘s Chicago Concertgoers Web site is the Top 5 lists he solicits from musicians. They range from local folkie Alice Peacock‘s favorite cowbell songs to the carnival acts singer/songwriter Tom Russell backed musically in the 1970s: 1) Big Jimmy (the 300-pound female impersonator), 2) Onyx and Pharaoh The Boa Constrictor, 3) El Hombre De Goma (the Rubber Man of Puerto Rico), 4). Spongy The Rubber Girl, and 5) Polka Dot The Dancing Horse. More at chicagoconcertgoers.com.